It's coming down to the wire, and I know there's still people out there that haven't really gotten into the groove yet (like, for example, my brother). 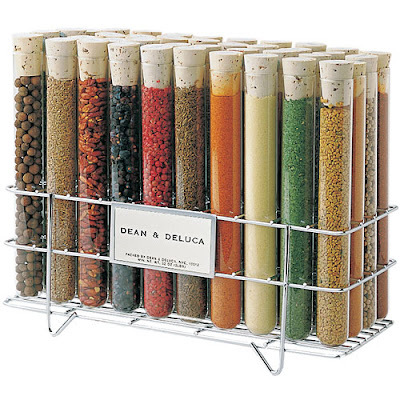 The above herb and spice rack from Dean + Deluca ($100-$150) makes a wonderful gift for most everybody. Next day delivery is available. Hi Lizzie! The rack is pretty, but SpiceStack makes a great and less expensive gift for serious cooks that already have their own spices. Plus it holds spices in the kitchen cabinet where its dark and dry, so spices stay fresh longer. Check it out at www.spicestack.com.